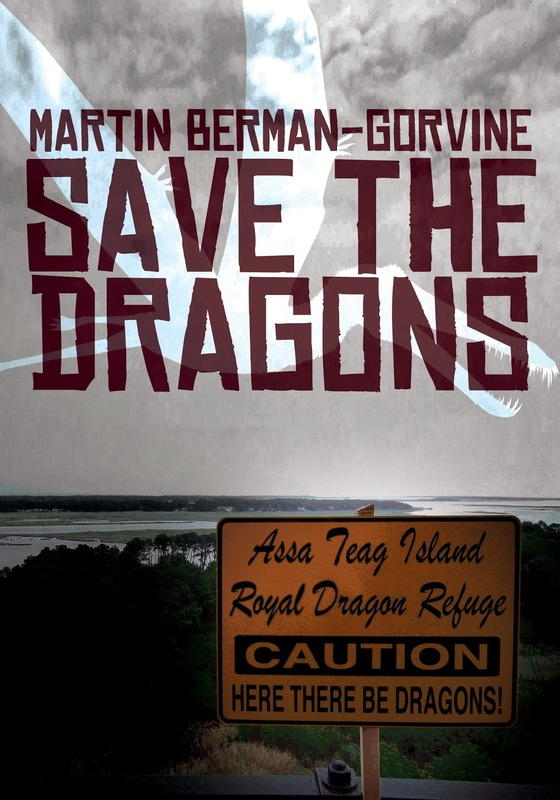 Posted on March 8, 2014	by Katy K.
Today I have a guest post from Martin Berman-Gorvine, author of Seven Against Mars and Save the Dragons, talking about Save the Dragons and its upcoming sequel. Welcome, Martin! Anyone who has ever walked into the dusty but magical confines of a “used” bookstore and chatted with the erudite, eccentric owner while stroking the shop’s obligatory cat will instantly grasp the primary source of inspiration for Save the Dragons. Aren’t such places really gateways to other worlds, other ways of thinking and being? For Teresa D’Angelo, who is a lonely and unpopular teenager as so many of us are or vividly remember being, the mysterious appearance of Gloria’s Gateway Books in the familiar, dreary streets of South Philadelphia starts out as such an escape, with a secret back room that offers an enchanted entry to a strangely transformed world—one where dragons are a familiar but endangered species and America is the seat of a British Empire whose skies are crowded with airships and whose roads teem with “electric carriages” invented more than two hundred years ago by “Sir” Ben Franklin. But as the writer Delmore Schwartz once observed, in dreams begin responsibilities, and Gloria, the sometimes-redhaired lady, sometimes-orange tabby cat owner of the bookstore, has a private agenda when she helps Teresa make the passage between worlds: to arrange for her to meet Tom Purnell, a teenager from the parallel world’s version of Chincoteague Island, home of the wild ponies and, on that side of the gate, also of one of the last remaining dragons as well as of a research station sponsored by His Majesty’s Government where Tom’s father works with colleagues to crack the secret of heavier-than-air flight before the rival French Empire. Together Tom and Teresa must figure out why no dragonets have been born anywhere in years, and rescue Tom’s father from dastardly French kidnappers. In a sequel that is now nearing completion, Gloria has moved her magical bookstore to Chincoteague Island and established contact with yet another parallel world—one where only paranoid crazy people think that UFOs aren’t real, because everyone remembers how “The High Ones” arrived on the Moon at the same time as the Apollo 11 astronauts, helpfully deposited Neil Armstrong and company on the South Lawn of the White House, and brought peace and prosperity to the world. Of course there’s a catch—isn’t there always? You see, the High Ones, who look like a cross between giant starfish and something out of the Burgess Shale, like stability in government, so twenty-first century America still has a president whose name rhymes with “Blixen.” Also, children are strip-searched before they can go to school, because some people don’t like the way the High Ones are running things and have taken to expressing their discontent explosively. Jo Purnell, Tom’s younger sister from British Imperial America, must help her new friend Arnold Grossbard from the High Ones’ America figure out whether and how to fight the alien menace. Now, because writers aren’t exactly like that other kind of magician who never give away their secrets, I’ll let you in on one vital wellspring of imagination. It can be summed up in one word: READ. Read everything and anything. Among the books that helped inspire Save the Dragons and Heroes of Earth (the working title of the sequel) are some obvious ones like Madeline L’Engle’s A Wrinkle in Time and C.S. Lewis’s The Lion, the Witch, and the Wardrobe, but also Rachel Carson’s environmentalist classic Silent Spring and Garry Wills’s contemporary account of the end of the 1960’s, Nixon Agonistes. You never know what convoluted wiring will close the circuit and turn the light bulb on. 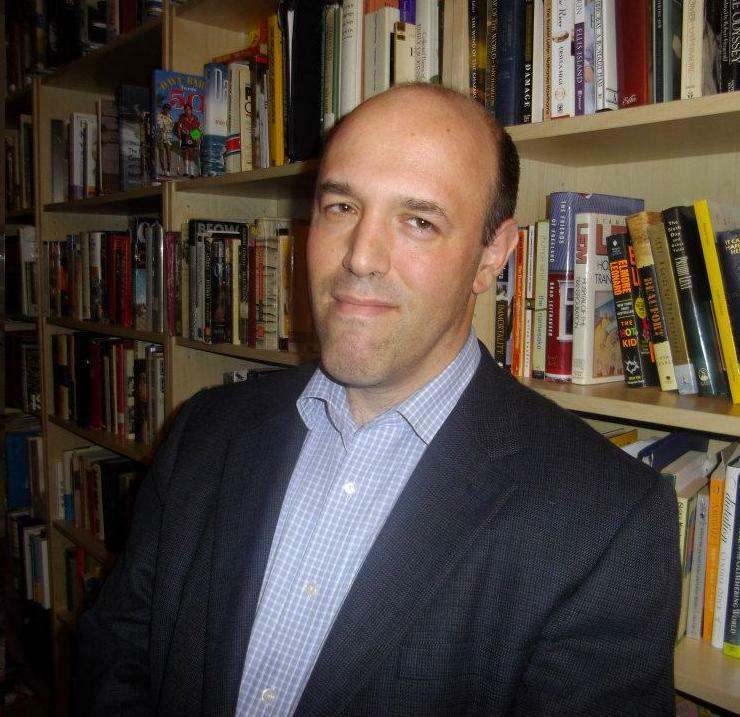 This entry was posted in Books and tagged guest post, Martin Berman-Gorvine. Bookmark the permalink.